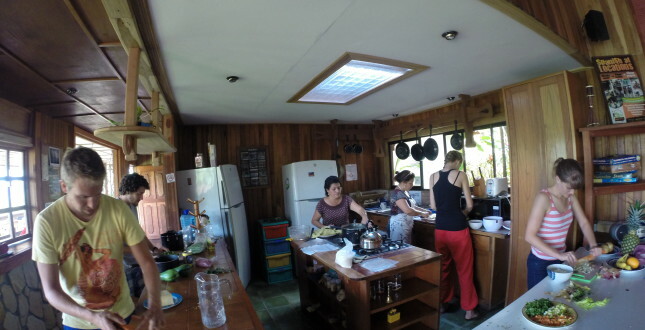 In Turrialba we have such a wonderful, fully equipped kitchen that this is the place where we do our cooking classes! 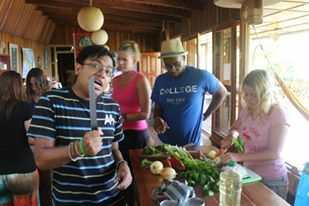 Gallo Pinto, arroz con pollo, bananas flambé are just a few of the gourmet dishes that we will be preparing with you! 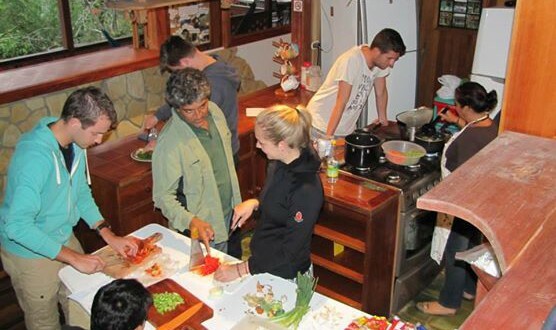 In Puerto Viejo you will be making Caribbean food in our cooking classes which includes: patacones (fried plantains), rondon (stew) and agua de sapo (drink with ginger and lemon) among others of course. 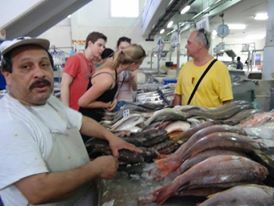 Since in Panama City we have the fish market, we use fresh fish in the dishes we prepare in the cooking classes; ceviche (fish cooked in lemon) is fun to make and something typical from Central & South America. 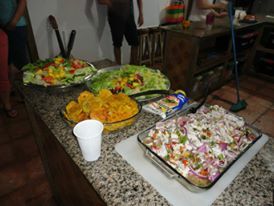 In Bocas del Toro we prepare all kind of Caribbean and other Panamanian dishes. We like to invite local chefs or other local cooks to show you how to use local fare. 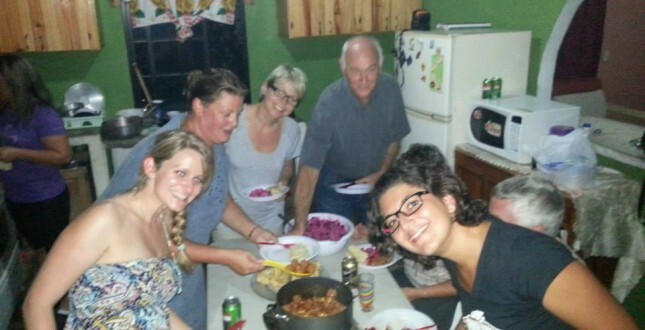 In Boquete we cook basic Panamanian food with local housewives. Sometimes we cook in their homes and get a window on the culture. 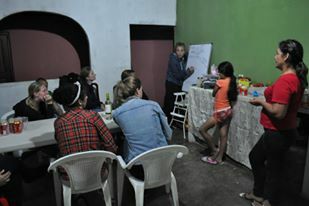 We also share with very friendly people and make it a real immersion activity.